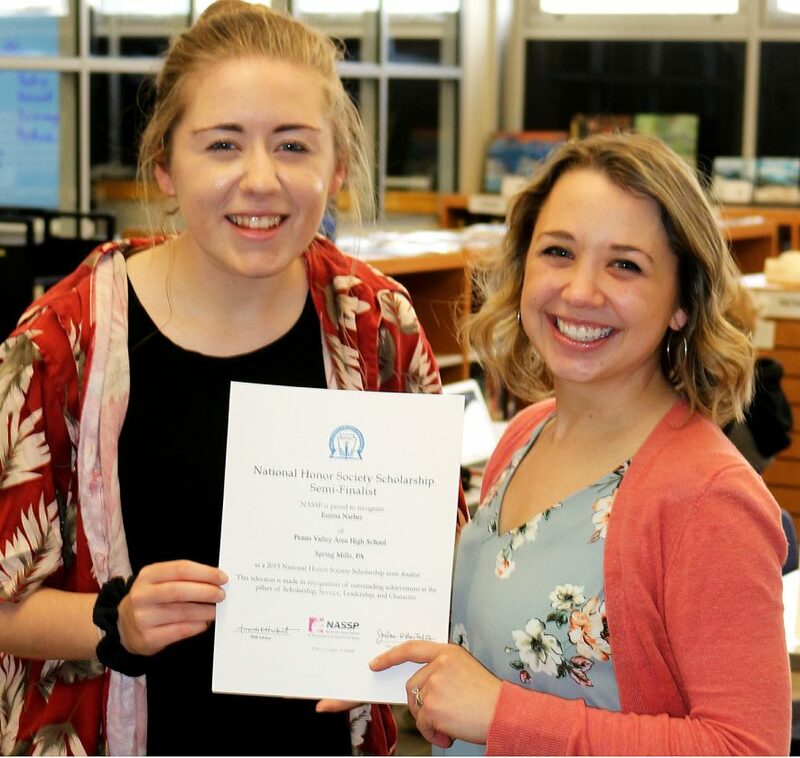 PHOTO PROVIDED Emma Narber, left, receives a certificate as a semifinalist in the National Honor Society Scholarship contest from Amanda Hulburt, NHS advisor at Penns Valley High School. 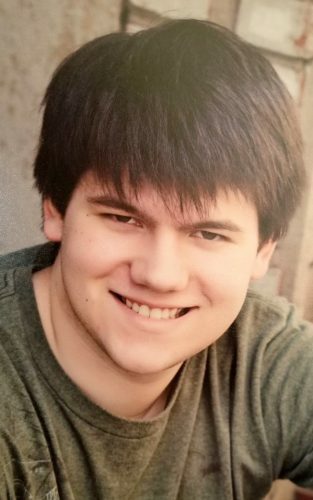 SPRING MILLS — Emma Narber, a high school senior at Penns Valley Area High School and member of the National Honor Society, has been selected as one of 575 semifinalists and will receive a $3,200 NHS Scholarship toward higher education. She was among 11,000 applicants. At Penns Valley, Narber is senior class president, and she participates in student council, theater, Asylum literary journal, varsity soccer and varsity track and field. She is the founding member of Fellowship of Christian Athletes and is an active member of the Penns Valley Youth Center. This fall, she will attend Messiah University to study Politics and Foreign Relations in addition to Christian ministries.